Founded as a trio in 2010, Ilvcia from Barcelona in Spain soon found two additional members to complete their line-up. The five young guys are influenced by vintage progressive rock (Yes, Rush, King Crimson) and more modern experimental and post rock (Mogwai, Tool). The latter may be harder to notice, as the band is mostly concocting their own brand of retro and neo prog on their self-recorded and self-released debut album In The Nature Of Reason which came out as a free download in the autumn of 2013. A few cardboard packed CD copies have been pressed as well and can be purchased for a modest amount. Ilvcia strongly adhere to a DIY mentality, which works very well in the punk community, but when it comes to progressive rock, the shaky production values of the six songs make access to the actual material rather hard. As I have a huge fondness for the genre, I repeatedly listened to the album to crawl my way through the murky sound. And when all is said and done, there is actually a huge amount of promise in this still young band, even though it is all too often hidden behind the demo qualities of the material. Let’s start with the opener The Safe, with twelve minute the longest track on the album. It is here where the quintet is pulling all its registers. Ok, the drums are very shaky and sometimes maybe even a little arrhythmic, but let’s forgive this by assuming that the band is not yet used to self-recording. The keyboards also can’t always convince with the selection of sounds. At times they sound a little too close to familiar presets, and thus not sophisticated enough. The bass guitar is doing a steady job, while the guitarist is in my opinion the highlight to watch out for. The vocals are maybe a little thin, but especially during the chorus to a great job of conjuring a melancholic atmosphere. The following Universe Of Fields is nearly seven minutes long, even less accessible, but in the end works really well with the gloomy organ sounds that remind me of Van Der Graaf Generator’s Hugh Banton. Baghdad is a three track suit that makes it to a quarter hour. This is mostly an instrumental venture, not always exactly on the point, but ambitious nonetheless. Maybe Spanish people have a certain affinity to Muslim culture, considering that huge parts of their country was under Muslim rule from the eighth to the fifteenth century (thanks, Wikipedia!). The album ends with the playful Sir T. Weaver, with slightly under six minutes the shortest piece. I have to admit that I was initially quite disappointed by In The Nature Of Reason. Progressive rock normally goes hand in hand with clean production values, and that is clearly not the case with Ilvcia. But I still persevered and finally discovered a possibly unintentional mix between Twelfth Night, Camel, IQ, Marillion,... that by its innocent approach alone even manages to feel original. As the download is free (there is not even a pay-what-you-want option! ), you certainly can’t lose anything. 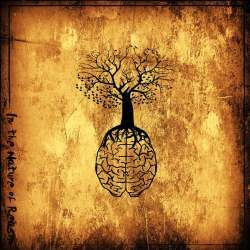 Fans of melodic progressive rock which is always conscious of its roots should be rather pleased with In The Nature Of Reason, provided they make it past the unusual sound. Let’s hope that Ilvcia keep working on their craft, because I am convinced that they have the talent to come up with something really grand.